God’s Country Cooperative Parish is to bring together people of the seven churches to provide mutual love and support for a greater impact, serving Christ, community, and mission to all. In the early years, a Mr. Mills was a missionary minister who came across the Manistique Lake from McMillan to serve the spiritual needs of the area. During the 1880s and 1890s, Germfask was very typical of other lumbering towns with tar paper shacks and saloons. The Manistique Railroad was built in 1889. The village started in 1890. The post office was established in 1891. The first store was constructed in 1890. The spiritual needs of the community were served before the turn of the century by a Presbyterian missionary that held services in the school. In 1900 and 1901, a minister who lived at McMillan served this area. The parsonage was built in 1902. The circuit had 42 members, 114 in Sunday School and paid a salary of $400 per year. The church was organized in 1904. On the 16th day of April 1908, a conference was held in Germfask and it was very evident from the record that the building of the new church was the main topic. There is recorded in the minutes the following plan: ?Thirteen ladies are desired to find, each one, nine other persons who will pay one cent per day for 360 days, this plan will secure five hundred dollars. The same to be used for thenew church to be erected in Germfask this year 1908.? 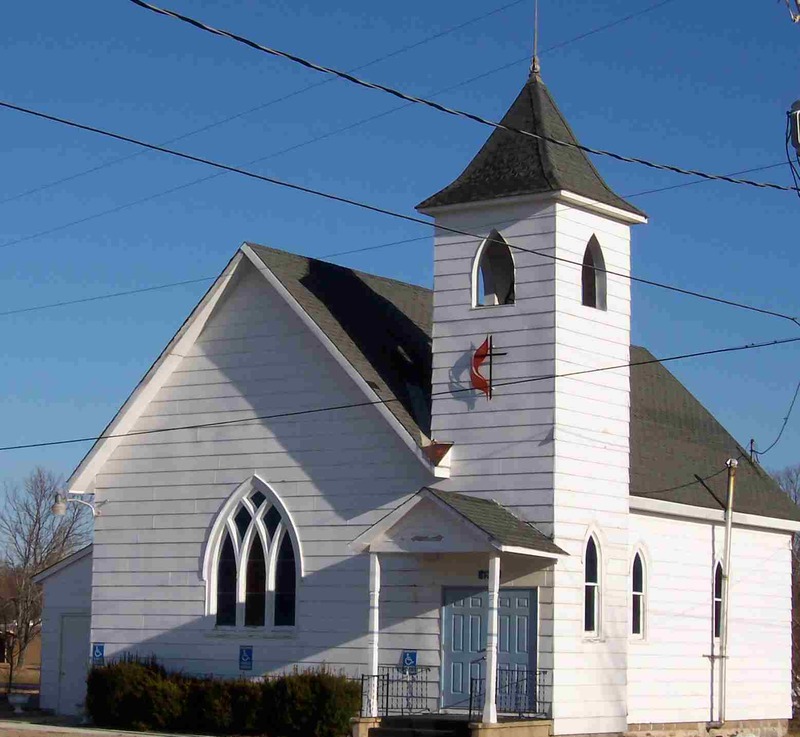 The Germfask Methodist Church was dedicated on the 22nd of December 1908. There were inactive years between 1923 and 1927 where it was noted that the church was a ramshackled, dilapidated building. But, through the grace of God, those things changed. In 1927 the Rev. Alvin Doten (who was known as Methodism?s Sky Pilot of the Upper Peninsula) was asked by the District Superintendent to go to Germfask. This was but one of the fourteen places to which he ministered every two weeks. He served the church for ten years. In 1932 the Germfask Community Club was started and many praiseworthy things were accomplished which benefited the Methodist and the Catholic churches which were the only two churches in town at that point. From 1937 until 1958, eleven pastors served the church with many accomplishments and improvements taking place. In 1958, the church celebrated its fiftieth anniversary. In 1961, through a generous donation from the Rev. Jim Hilliard, the church annex was built. The annex was dedicated in August 1964. During the last 40 years, much has been done to improve the church structure and contents as has been noted in the memorials. The membership has grown. The parsonage was sold when the church became part of a multi-church charge. Now in 2007, the Germfask United Methodist Church is having its difficulties staying financially solvent. However, the enthusiasm of the church members is great. With help from the conference and the GCCP, it is hoped that the church will be able to serve the area for a good many years.